Composer/performer Periklis Kanaris will be returning to his native Athens, Greece for a one-night-only performance of his work. On Thursday, February 22nd at the main stage of the music venue GAZARTE, he will be presenting a mix of his originals and favorite covers from other composers/songwriters, under the title of his new single release, “Gia Mia Stigmi” (Synolon Records/ Innsbruck Records, Roman Klun co-producer). All songs will feature his orchestrations and the improvizations of his world-renowned musicians. Kanaris will be joined by his all-star New York band, consisting of Ben Butler on guitars, Gary Schreiner on chromatic harmonica and accordeon, Richard Hammond on bass, Peter Douskalis on guitars and GianCarlo Detrizio on drums and percussion. All of the aforementioned performers have top industry credits and have performed with artists such Sir Elton John, Sting, Stevie Wonder, Bono and The Edge (U2), Annie Lennox, George Michael and Carlos Santana. They have also performed for major Broadway productions such as Hamilton, The Lion King, Spiderman, The Last Ship, Dear Evan Hansen and more). His guest singer from Greece will be Rita Antonopoulou, with whom he collaborated with great success in his debut album, “Aoratos” in the studio and its live presentations in New York and Athens. Among other favorite songs from her repertoire, she will also perform a world-premiere of a brand new song in the lyrics of Manos Eleftheriou and music by Pericles Kanaris. 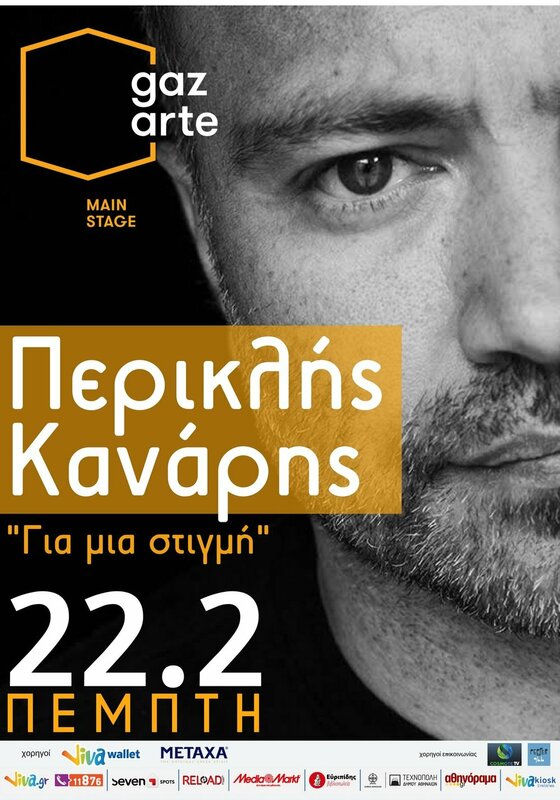 Pericles Kanaris will also be joined on stage by two select musicians from the Athenian scene, Dimitris Reppas on bouzouki and vocals (Stavros Xarhakos orchestra) and Marina Kolovou on cello (Greek National Opera).